Sue Ding is a documentary filmmaker, media consultant, and MIT Open Documentary Lab researcher. Her research at MIT explores the creative and sociopolitical potential of location-based media, participatory documentary, and augmented reality. In addition to consulting on interactive and multiplatform projects, she produces and shoots a broad range of nonfiction media, from 360 videos to award-winning broadcast and feature documentaries. Location-based media—physically or digitally linked to physical locations, conceptually connected to these locations, and designed to be experienced onsite—have always played a key role in defining both spaces and publics. With increasingly sophisticated mobile, imaging, and geolocation technologies, location-based media are now ubiquitous in areas including art, gaming, marketing, community organizing, architecture, and tourism. However, many of these projects hew to traditional one-to-many, author-reader media consumption models. Some creators, though, embrace the affordances of networked locative technologies, drawing on participatory approaches that reimagine conventional forms of storytelling. Participatory works that allow users to shape the narrative—becoming deeply invested as co-creators—challenge traditional notions of authorship and consumption. Drawing on the profound power of both community and place, as well as the rich tradition of spatial narrative, participatory location-based media possess vast creative, social, and political potential. They invite us to reexamine our conceptions of narrative, documentary, and space itself. The projects below—from chalk drawings to soundscapes to augmented reality protests—exemplify the pluralistic, collaborative, playful, subversive, and transformative documentary affordances of participatory location-based media. 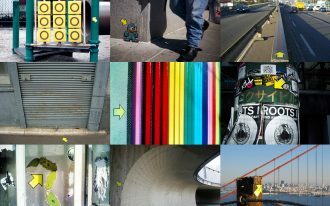 Yellow Arrow was a pioneering location-based project that invited participants to use early mobile technology to annotate the city around them. This pioneering example of mobile location-based media used collaborative geo-annotation to explore alternative narratives of public space, as well as a more complex and intimate relationship to place. 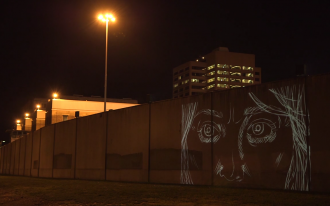 The 96 Acres Project is a series of site-specific art projects bringing together community members to address the impact of the Cook County Jail. 96 Acres demonstrates how participatory forms of location-based media, in combination with community-based practices, can challenge spatial boundaries, contest oppressive spatial narratives, and imagine transformative new uses of space. Invisible Monument is a series of geolocated soundscapes that both document and invite continued engagement with protest movements. Participatory location-based media allow us to explore how memory and subjective experience intersect with physical and virtual public space. Invisible Monument geolocates sound recordings of physical protests and invites people to contribute their own thoughts or memories, creating an evolving digital and spatial archive. 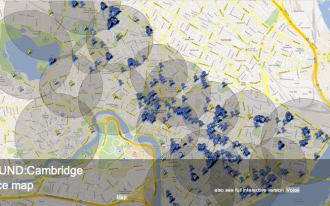 A sound art installation highlighting the public art of Cambridge, Massachusetts allows visitors to leave geo-tagged commentary for other participants to discover through a specially designed app. 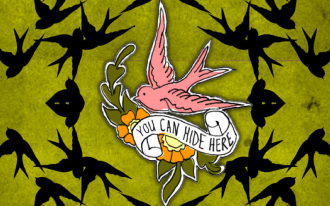 This contributory installation eschews the singular, authoritative voice of museum audio tours, instead immersing participants in a pluralistic soundscape that invites playful discovery and collaborative creativity. Its embodied interaction also serves as a model for audio AR applications. 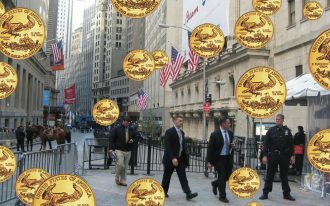 AR Occupy Wall Street is "the world’s first global AR protest," placing a layer of protest art over New York's Financial District. This early augmented reality project highlights how digital media can be used to publicly claim space and build solidarity when physical protest is forbidden. 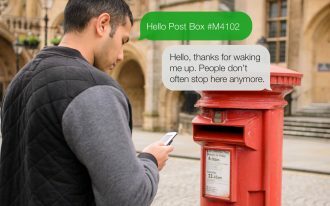 Hello Lamp Post is a playful project that invites participants to share stories and rediscover their everyday surroundings. Hello Lamp Post demonstrates how location-based media can build on pre-existing physical infrastructure, inviting people to rediscover their everyday surroundings, share stories with each other, and playfully engage with the urban environment. 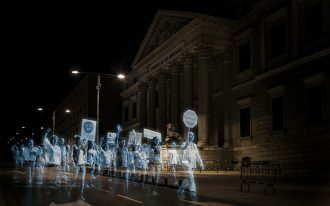 Holograms for Freedom, “the first hologram protest in history," was a response to Spain's "Gag Law," which criminalized many forms of public protest. 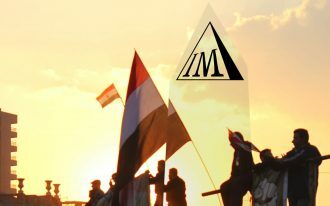 This holographic event offered an avenue for public protest when physical demonstrations were prohibited; in evoking the proscribed physical protests, it also foregrounded questions of who has the right to occupy and use space. #ChalkedUnarmed is a grassroots movement and participatory documentary project raising awareness of police brutality and its victims. Annotation can serve as an accessible way to counter dominant, sanitized narratives of public space. 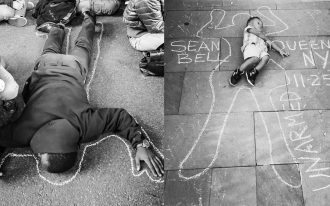 #ChalkedUnarmed uses chalk drawings and Twitter to raise awareness of police brutality, annotating spaces as sites of both loss and resistance. Blast Theory’s Rider Spoke invites participants to ride bicycles and explore cities by night, discovering recordings by their fellow riders and selecting meaningful locations to record their own personal stories for future players.